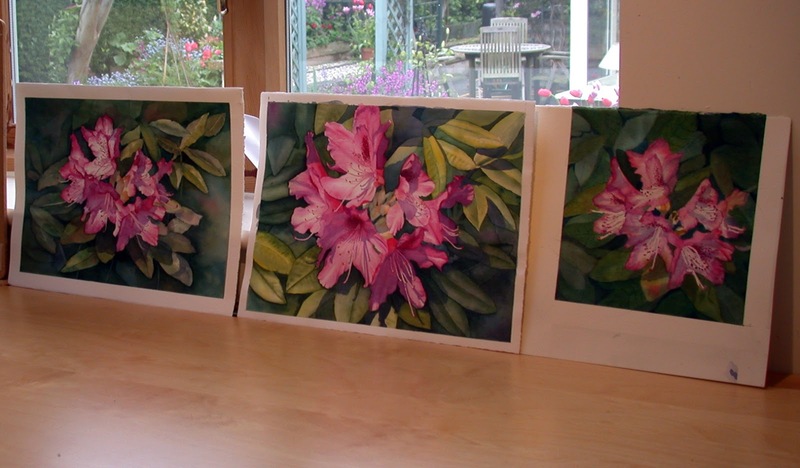 Just look at what some of the Wednesday group produced for our Rhododendron project. Some fabulous work, I think you’ll agree! Well done Molly, Helen and Maureen. Margaret produced a work of similar fine quality but didn’t have her painting to show! Previous Previous post: Tuesday group Hellebore paintings…Wow!